There are a number of different elements that make up web design and while each have a role to play, some are more important than others. It is important to be able to communicate the relationship between elements both visually and effectively. That is where we bring in contrast. Contrast is the difference between one element and another. Colour contrast is useful in web design because it can be used draw the attention of the user to wherever the designer wants it to go. With contrast, you can make one element stand out from another. Think of how clearly black text stands out on a white background. In a high contrast situation like that, your eyes are immediately drawn to the text and you’ll find it easier to read than if it had been light grey text on a white background. Why does colour contrast matter? You must consider that people hardly ever read, they scan. It is a no-brainer that your content has to have the right contrast so readers are drawn in more easily using character and word shapes. When you make it easier for people, you pave the way to really interacting with them via your website. On the other hand, if your content is hard to read, they will flee! And they don’t even have to read the first word to know your page is going to be stressful to read. That is why you must hire a designer that knows what to do with contrast. Now that you have an idea what contrast is supposed to do and how it can make a difference, when you are trying to decide on a web designer, look out for how they used contrast in their previous work. You can even ask them questions directly to find out what their thoughts are on contrast and how they intend to use it to help you achieve your goals. 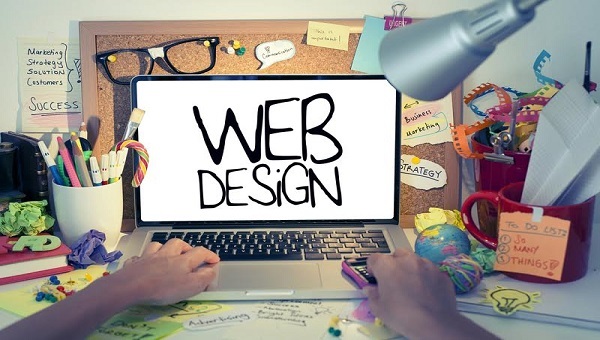 Once you have found the right Ottawa web design company specializing in website design that you would like to work with, you’ll have one more burden lifted off your shoulders. Consider the general layout of a website. Most sites have a header, a content area, and footer, but to visually separate them the designer must use a high contrast. And what happens if there is no proper visual separation? The user gets confused and that is the last thing you want for your website. To avoid confusing users, contrast must be used to separate one are from another. Check out a few sites and note the ones with good contrast. That is how your site should be, but even better.